Bruce Sledge is one of today’s most in-demand tenori di grazia and sings a wide variety of repertoire with many international houses. In the 2015-2016 season, Mr. Sledge returns to the Vancouver Opera to sing the Duke in Rigoletto, he makes his debut at the Canadian Opera Company as Paolo Erisso in Maometto Secondo, and returns to the roster of the Metropolitan Opera. Future projects include returns to the Welsh National Opera, Canadian Opera Company, and Metropolitan Opera. Recent projects for Mr. Sledge include big personal successes as the Duke in Rigoletto and Paolo Erisso in Maometto Secondo with the Santa Fe Opera and a return to the Metropolitan Opera for Thomas Ades’ The Tempest. In concert, the tenor was heard in Verdi’s Messa da Requiem with the Spoleto USA Festival and with the Radio Television Ireland Orchestra in Dublin, in Mendelssohn’s Elijah with the National Symphony, and in Popera concerts with Opera Tampa. Prior to that, he made debuts with the Welsh National Opera as Leicester in Maria Stuarda, with the Opéra de Bordeaux as Percy in Anna Bolena and as the Duke in Rigoletto with Boston Lyric Opera and returned to the Santa Fe Opera as Vladimir Vladimirescu and the Fisherman in the double-bill of Mozart’s The Impresario and Stravinsky’s Rossignol. In concert, Mr. Sledge appeared with the Risca Male Choir in Wales. Other recent projects include a return to the Metropolitan Opera in two Mozart roles: Tamino in The Magic Flute and Ferrando in Così Fan Tutte. Additionally, Mr. Sledge made his debut with the Minnesota Opera as Leicester in Donizetti’s Maria Stuarda, followed by Tamino with the Manitoba Opera and Almaviva in Hamburg and in Grand Rapids before making his debut in Avenches, Switzerland, as the Duke of Mantua in Rigoletto. In concert he was heard in Mozart’s Requiem with the San Francisco Symphony and in Schubert’s Mass No. 6 with the San Diego Symphony. Prior to that, Mr. Sledge appeared as Nemorino in L’Elisir d’Amore with Atlanta Opera, Tamino in Die Zauberflöte with Opera Hong Kong, the Duke in Rigoletto with Tulsa Opera, and Count Almaviva in Il Barbiere di Siviglia with the Hamburgische Staatsoper. In concert, he returned to the San Francisco Symphony for Stravinsky’s Pulcinella. Mr. Sledge marked his return to Japan for performances of Rodrigo in Rossini’s Otello (a role debut for the artist) with Pesaro’s prestigious Rossini Opera Festival on tour, followed by a recital appearance for Marilyn Horne’s 75th Birthday Gala at Carnegie Hall. Additional opera engagements included a return to the Vancouver Opera as the Duke in Rigoletto and a debut with the Teatro Regio di Torino as Ernesto in Don Pasquale. Mr. Sledge also appeared with the San Francisco Symphony in the Schubert Mass No. 6 under Maestro Michel Tilson Thomas. In the 2007-2008 season Mr. Sledge returned to the New York City Opera for performances of Don Ottavio in Don Giovanni, before traveling to Japan to sing the role of Alfredo in La Traviata. Additionally, he returned to the Teatro Real in Madrid for performances of Argirio in Rossini’s Tancredi, and also debuted with the New Orleans Opera as the Duke in Rigoletto. Role debuts included Tito in Mozart’s La Clemenza di Tito in Bari and Nemorino in L’Elisir d’Amore in San Antonio and Palm Beach. Notable engagements for the 2006-2007 season included two major role debuts: the Duke in Rigoletto with the Metropolitan Opera in the Parks and the title role in Werther with the Vancouver Opera. Additionally, he performed Stravinsky’s Persephone on tour in Europe with the Gulbenkian Foundation Orchestra as well as Elvino in La Sonnambula with the Florida Grand Opera in a production directed by Renata Scotto and conducted by Richard Bonynge, Alfredo in La Traviata at New York City Opera, and Tonio in La Fille du Régiment in Rome and Santiago de Chile. Recently, the tenor made a series of impressive debuts with several of the world’s most prestigious houses: the Lyric Opera of Chicago (the Italian Tenor in Der Rosenkavalier), the Deutsche Oper in Berlin (as Ernesto in Don Pasquale), La Fenice (Léopold in La Juive), the Royal Danish Opera (as Alfredo in La Traviata) and the Pittsburgh Opera (Ferrando in Così Fan Tutte), and returned to the Teatro Comunale di Bologna for their tour to Savonlinna in La Fille du Régiment. He made his San Francisco Symphony debut as the Shepherd in Oedipus Rex with Michael Tilson Thomas conducting and returned to the Gulbenkian Foundation for concerts of Bartok’s Cantata Profana and Kodaly’s Psalmus Hungaricus with Lawrence Foster. In the 2004⁄2005 season the tenor made his Paris Opera debut as Lindoro in L’Italiana in Algeri (a role he later reprised in Montpellier), went to Marseille for semi-staged performances of La Sonnambula and followed these concerts with a debut at the Teatro Comunale di Bologna as Ernesto in Don Pasquale. Later in the season, he returned to one of his favorite roles, Tonio in La Fille du Régiment, in Genova and to Bologna for Leicester in Elisabetta, Regina d’Inghilterra. In concert, Mr. Sledge sang Stravinsky’s Pulcinella in Munich and was heard in a solo recital at the Cerritos Center in Orange County. Bruce Sledge closed the season with his Santa Fe Opera debut as Almaviva in Il Barbiere di Siviglia. Bruce Sledge made his debut at the Metropolitan Opera as Almaviva and returned to the New York City Opera as Ernesto in Don Pasquale (after a triumphal debut in the house as Almaviva) and debuted with the Tulsa Opera, again as Almaviva. He recorded the role of the Fox in Spanish and Catalan versions of Janacek’s The Cunning Little Vixen for the BBC with Kent Nagano and joined Mr. Nagano in Beethoven’s Missa Solemnis with the Berkeley Symphony in the spring. Other concert work included concerts of Don Giovanni in Lisbon with the Gulbenkian Foundation as well as Brahms’ Liebeslieder Walzer with the New York City Ballet. Mr. Sledge made an extraordinary debut at the Rossini Opera Festival (as Leicester in Elisabetta, Regina d’Inghilterra) as well as at the Teatro Real in Madrid (in Don Pasquale). Another important event of the season was the artist’s appearance in recital at Carnegie’s Weill Hall under the auspices of the Marilyn Horne Foundation. Other engagements include the tenor’s European debut in the title-role of Berlioz’ La Damnation de Faust in Palermo, Italy, returns to the Los Angeles Opera as Almaviva, Tamino and Alfredo as well as in his critically-acclaimed Ernesto in Don Pasquale opposite Ruth Ann Swenson, debuts with Opera Ontario as Tonio in La Fille du Régiment and with the Michigan Opera Theatre as Don Ottavio in Don Giovanni and recitals in Brownville, Nebraska and in Tyler, Texas. Earlier, Mr. Sledge made his debut with the Arizona Opera as Camille in The Merry Widow. Bruce Sledge was seen on the NBC sitcom Scrubs and he can be heard on the soundtrack of the motion picture The Sum of All Fears. Mr. Sledge was a finalist in the 2002 World Voice Masters Competition in Monte Carlo, a finalist in Placido Domingo’s Operalia 2000 World Opera Contest and a national finalist in the 2000 Loren L. Zachary Vocal Competition. 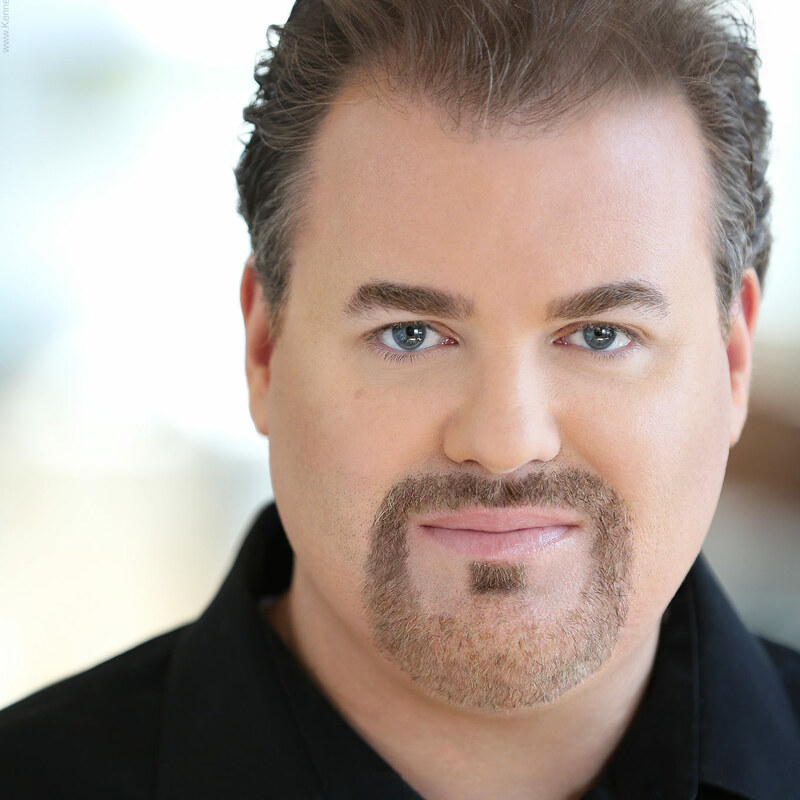 In 1998, he was a Western Regional Finalist in the Metropolitan Opera Auditions and was awarded first place in the Los Angeles Chapter of the National Association of Teachers of Singing (NATS) Competition. Bruce Sledge received his master’s degree in vocal arts from the University of Southern California, being awarded the most outstanding music masters graduate.